Given he’s the defending champion, it may not come as much of a surprise to discover that Deontay Wilder is priced up as the bout betting favourite to make a successful defence of his WBC heavyweight belt against Tyson Fury on December 1st. 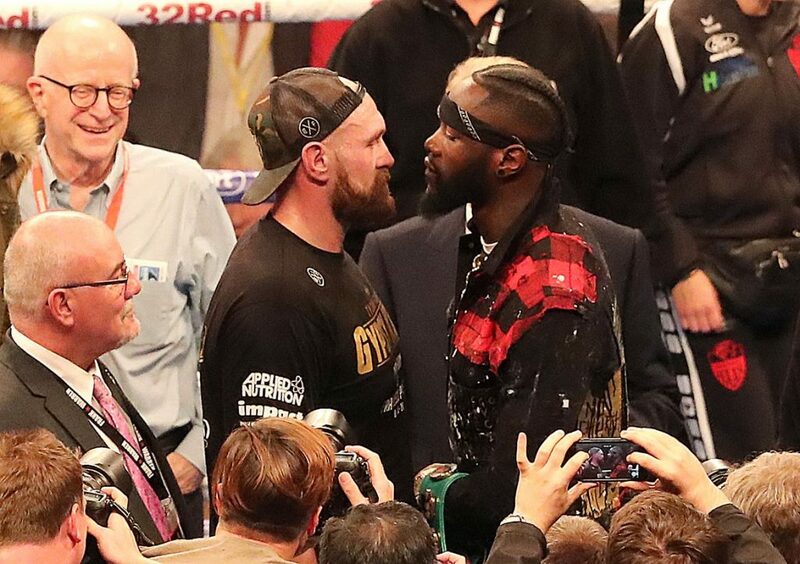 Wilder’s odds are 4/6 to beat Fury at the Staples Centre in Los Angeles, with a victory extending his unbeaten record to 41-0. The 33-year-old is only one of two American US heavyweight champions in the last decade, following Charles Martin’s three-month stint with the IBF gold, but this is undoubtedly Wilder’s toughest challenge to date. Yet still there are those who will not be swayed from their belief that 13/10 underdog Fury will emerge victorious on the night. Here are five ways to shut them down. In his first fight in almost three years in June, Fury looked anything but in shape when defeating Sefer Seferi in four rounds in a thoroughly unimpressive display. The Gypsy King has lost 135lbs in the last year. Things did improve in August when Fury got 10 rounds under his belt in a points victory against Italy’s Francesco Pianeta, but doubts remain as to whether he will get back into the shape that saw him best Wladimir Klitschko in 2015. The fact Fury is no longer trained by his uncle Peter is a slight cause for concern, especially as he is now being trained instead by a relative rookie in Ben Davison. This could be especially noticeable should the Manchester-born fighter need to adapt in the middle rounds and change plan slightly. Wilder may not have fought since stopping Luis Ortiz in 10 rounds in March, but his ring shape is far less of an issue. Fury’s triumph over Klitschko remains his only previous world title encounter, having been stripped of the WBA (Super), IBF, WBO, IBO, The Ring, and lineal heavyweight titles he won in Dusseldorf. Wilder has been the WBC champ since January 2015, making seven successful defences since. The previous point could in part be backed up by the fact that Wilder has won 39 of his 40 bouts to date by knockout. Although he can punch with both hands, the American’s go-to strategy is to use the jab as a set up for a heavy right. Despite his size, Fury is not renowned as a big puncher. He hasn’t knocked out any of his last five opponents, although three did retire on their stools. Wilder proved against Ortiz when facing a seventh-round onslaught that he has a strong chin and may not be dissuaded from continually walking forward if the punches thrown at him are not the heaviest. There is every chance that Wilder will walk forward to push the pace too, which will test the challenger’s possible limitations in stamina reserves. 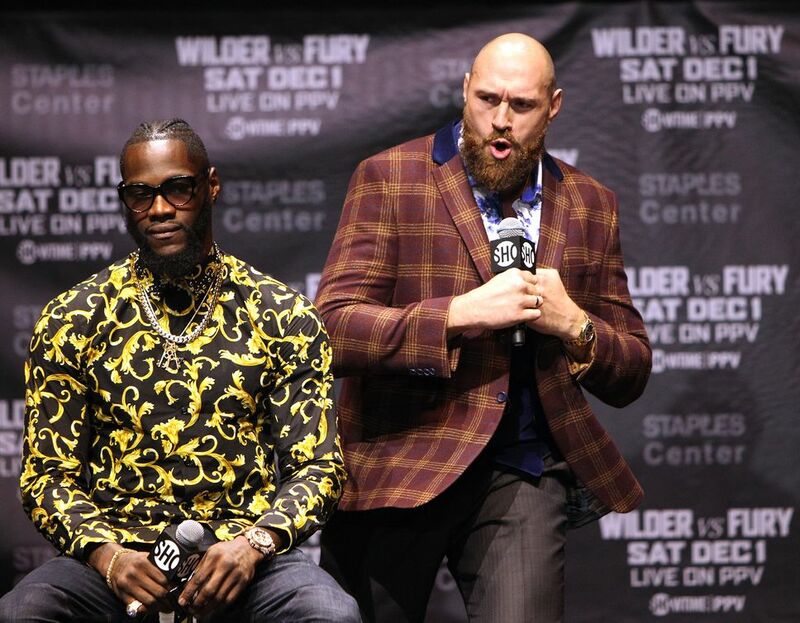 Fury is no stranger to the odd bout of showboating, whether it’s antics during press conferences or in-ring actions. Against Klitschko there were periods where he circled his opponent with his arms behind his back, while in the Seferi showdown he stopped to watch a fracas that had broken out in the crowd. He will need to be all business against Wilder, who possesses the one-punch power to take advantage of any moments of reduced concentration. The champion is sure to keep his attention completely on the job at hand. This is only Fury’s second fight on US soil and his fourth outside of UK and Ireland (he beat Klitschko in Germany and also defeated Zack Page by unanimous decision in Canada in 2010). On his only prior visit, Fury knocked out Steve Cunningham in New York in seven rounds, but had to recover from being floored himself in round two. The fact Cunningham is a much smaller man than Wilder should give the champion confidence of a knock down, alongside his previous record in California. The Bronze Bomber has won all six previous contests in the US state and none have gone longer than four rounds.